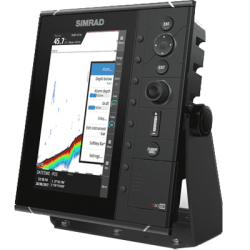 The Simrad V5035 is a fully featured Class-A AIS transponder system, IMO type approved for use aboard SOLAS vessels. The E5024 ECDIS is an IMO type-approved navigation system, designed for use aboard SOLAS vessels including large passenger ships, tankers, and cargo ships subject to the ECDIS Carriage Mandate. The S3009 navigational echosounder meets the requirement for reliable and accurate bottom tracking and depth recording on a wide range of commercial vessels. 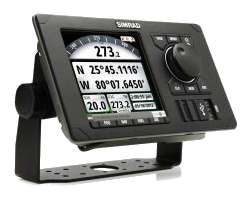 GPS MX612 is an IMO type-approved navigation system designed for the professional mariner. 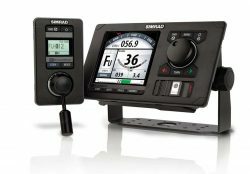 Fully IMPO approved for standard and Hifh Speed Craft(GC85) and can be configured in a dual gyrocompass system. The highest possible accuracy and stability is provided from new technology, by sophisticated and fully sealed sensitive element. 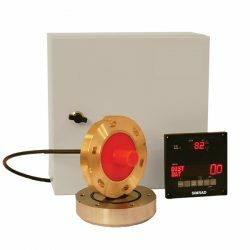 The SAL R1a is an IMO type-approved speed log for measuring longitudinal speed through water (STW), based on proven Acoustic Correlation technology, offering simple and cost-effective installation with no need for a watertight compartment or piping above the waterline. 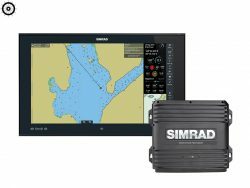 Simrad R5000 radar systems are available in a range of configurations to meet the requirement for an IMO type-approved X/S-Band radar system aboard CAT1(H) and CAT2(H) SOLAS vessels. 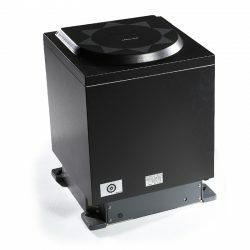 Their modular design makes it easy to create a single or multi-radar system for commercial vessels of any size and type.